Merseyside Police have issued CCTV images of two men they would like to speak to following a shop theft in St Helens. 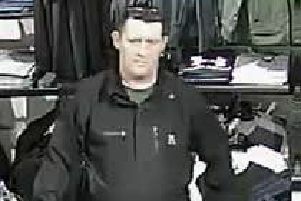 At around 2.55pm on Monday, February 4 the two males entered the Home Bargains store on Haydock Street in Newton-le-Willows and stole a quantity of aftershave. One of the men is described as a white male, 6ft tall, well built, with cropped receding hair and wearing a black waterproof jacket and carrying a blue backpack. 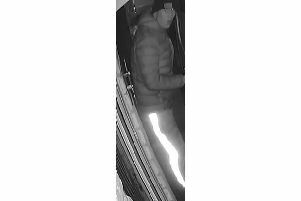 The second male was also white, 5ft 6in – 5ft 10in tall, of slim build, wearing a black woollen hat, dark waterproof pants, dark coloured hooded top and trainers. Images of two men who they believe could assist with the investigation have been issued. Anyone who recognises the man or has any information about the theft is asked to DM @MerPolCC, call 101 or contact Crimestoppers anonymously on 0800 555 111 quoting reference 19100042994.